Once upon a time, herbal blends and essential oils were regarded as hippy ingredients, reserved for perfume, remedy relief and yoga studios. 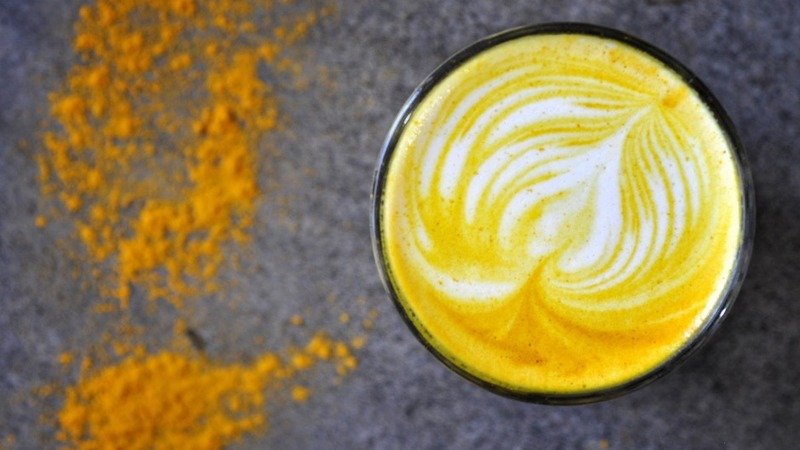 Now, visit any trendy health food cafe and turmeric lattes are likely to be the star of the menu, thanks to turmeric's gut-healing properties. But that golden latte is part of a much larger trend towards alchemy eating – where food meets alternative medicine in everyday dish infusions. At the heart of the medicinal trend is the centuries-old Indian philosophy, Ayurveda. Ayurvedic medicine centres around the belief that mind and body are connected and that what we eat reflects how we feel. It also believes in the importance of stoking the digestive "agni" (fire), aka good gut health. 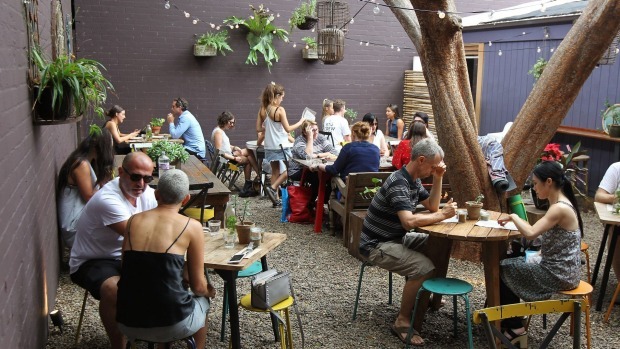 With gut health's central importance now increasingly recognised, cafes have jumped on board the ancient philosophy. Recently Nalini's restaurant opened its doors in Sydney – the city's first probiotic, gluten-free, plant-based and Ayurveda-themed eatery. It offers turmeric lattes alongside activated charcoal ice-cream, both of which have a long history of medicinal value in India thanks to their healing and detoxifying ingredients. Meanwhile in Melbourne, nutritionist and cookbook author Lola Berry has brought flower essence therapy to her new cafe Happy Place, adding a drop of natural therapy to every smoothie. "While slightly different to essential oils, 'flower essence therapy' is centred on the belief that the essences of particular flowers can balance our emotional and spiritual health," says Berry. In every smoothie at Happy Place an essence is matched to a different energy, offering customers the chance to customise their beverage to reflect the mood they wish to be in. "For example, we have a smoothie called the 'I love Oprah' which features 'monga waratah', a flower essence connected to motivation and empowerment. The idea behind it is that you will not only get a kick start in the morning but a touch of motivation too!" says Berry. They also have salted caramel and peanut butter jelly smoothies sprinkled with a dash of "five corners", an essence associated with self-worth, subtly suggesting it's okay to treat yourself and feel good about it too. And this extra touch is not going unnoticed. "Health as a whole is definitely growing and people are getting more in touch with how they feel – it's a really exciting time," says Berry. Taste-wise you can rest assured – it's nothing like drinking a bottle of perfume either. "Some people love the taste but others say they don't even notice it. It's super subtle – almost like magic," says Berry. Essences aside, "Elixir Powders", sold at Sydney organic store Orchard Street, are also hitting the smoothie scene. The naturopathically formulated blends are said to act as remedies, offering everything from an "Adrenal" blend through to "Immunity" and "Vitality". The store also is an apothecary for botanical medicines, raw treats and juices - all crafted with a heavy Ayurvedic influence. As Ayurveda shares the same birthplace as yoga, it appears to also be influencing the foods we eat for fitness too. Egg Of The Universe, an integrated yoga studio and wholefood cafe in Sydney, weaves the Ayurvedic philosophy of energy throughout its food to offer balanced meals for a pre- or post-yoga workout. "Ayurvedic principles work well with yoga practices, particularly when someone is looking at cleansing, fasting and or rebalancing their physical and energetic systems," says owner Harry Lancaster. "So, while we're not strictly Ayurveda, as a yoga studio and wholefoods cafe we like to represent aspects of Ayurveda on our menu." The cafe offers the "Kicharis", an Ayurvedic dish that Lancaster describes as "a traditional semi-fasting dish you eat for breakfast, lunch and dinner over a number of days to cleanse the digestive system and generally give it a break". It may not sound fun, but Lancaster says it's all down to pairing the right Indian flavours with it. "We jazz it up on the menu by offering a yoghurt raita and tamarind chutney with it to make it more accessible to the general public." When Ayurvedic philosophy is not being served in our lattes, ice-cream or yoga studios, it's more commonly known for being brewed in our herbal teas. 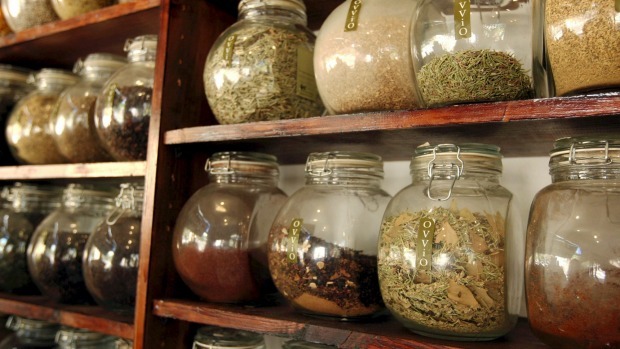 Sydney naturopath Anthia Koullouros and owner of OVVIO Organics offers a range of Ayurvedic teas, bespoke to the customer and their respective dosha (constitution). "At OVVIO we will create a herbal tincture blend for a patient after determining their constitution," says Koullouros. But what exactly is their dosha and how does the Ayurvedic concept work? "Ayurveda is a holistic health approach that believes the mind and body are connected, so during a consult, the physical and emotional symptoms are considered as well as your temperament and body temperature," says Koullouros. In Ayurvedic medicine, it's believed the only way to be free from illness is to maintain balance in the body by eating and living according to our dosha. "There are also three mind-body types known as the 'doshas' - Vata, Pitta and Kapha - which form the basis of Ayurveda. Each dosha expresses a unique blend of physical, emotional and mental characteristics (discover your dosha here)." Think of it as bespoke medicine - once you know your mind-body type you can personalise your diet to adapt to what your body and gut need. This personalised approach carries through to the popularity of Ayurvedic teas. Tired? Have a bedtime tea. Stressed? Have a relaxing tea. Emotional? Have a balancing tea. For Pukka, a company that specialises in herbal tea blends, the customised Ayurvedic offering is a definite contributor to its growing success. "Pukka has grown at an average of 30 per cent every year with currently over a million cups of Pukka tea now being drunk across the world every day," says Sebastian Pole, founder of Pukka. "Our teas have become synonymous with wellbeing. By using the ancient Indian philosophy of Ayurveda in our Pukka blends, it shows you how to live a healthy, wholesome and more fulfilled life - mind, body and spirit." He has noticed the demand for Ayurvedic tea in the food industry too. "We're getting an increasing interest from cafes looking to meet the demand for drinks that deliver a wellbeing benefit. Take matcha - a super-powered green tea that's noticeably rising in popularity throughout cafes," says Pole. The tradition of an English breakfast cuppa may now be on the wane, but its eclipse brings new benefits. "Customers now can turn to teas to deliver a functional benefit – from supporting their digestion or even as simple as rebooting their energy levels," says Pole. And who are we to complain? If tea is now offering to help you sleep, love you and ease your PMS (as the Pukka product guides suggest), and smoothies can act as a caffeine-free pick-me-up in the name of Oprah, then sipping on Ayurvedic philosophy just got a whole lot sweeter.